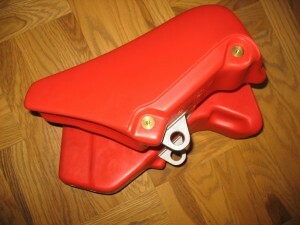 Honda cr 125 1984 fuel tank NOS. For sale: 1975 Yamaha TY 175; very nice original survivor. Small tank dent otherwise very clean cosmetically. Runs great; ready to ride. Pix, details on request. Asking $1150. 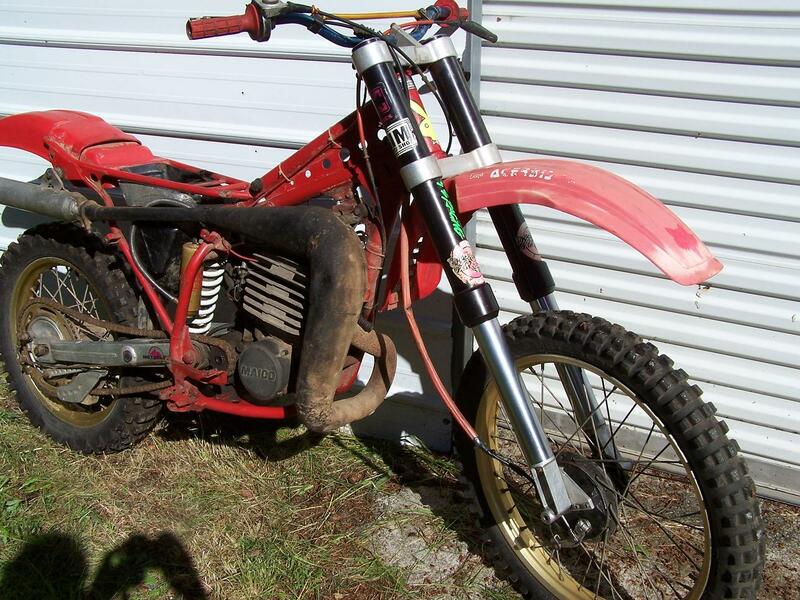 1975 Honda Elsinore CR125* Restoration Project* Extra Parts: Frame,Swing Arm,Wesco Head, Motor, Forks. Anything else I have for it will go with it. 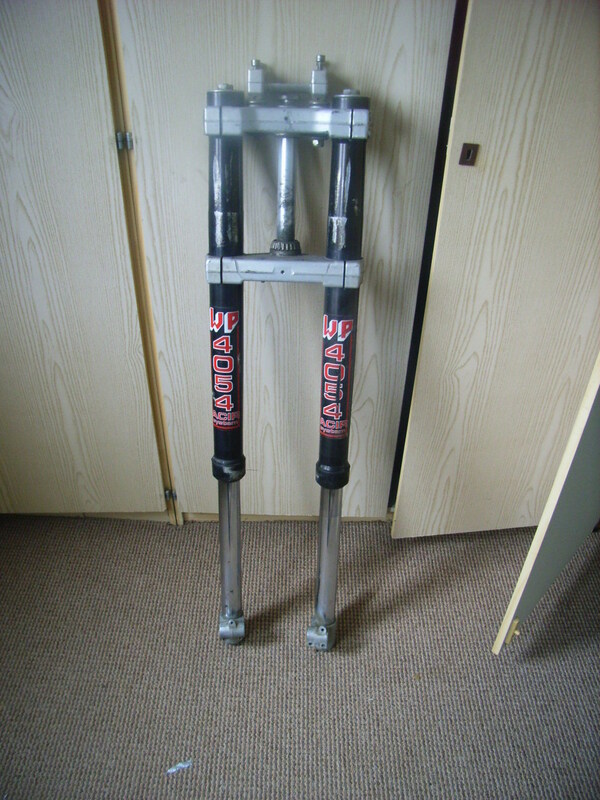 for sale WP 4054 shocks with WP triple clamps! comes from a ktm 250 1987 ,i have also a set without triple clamps for a yamaha,they are exactly the same,so i think you can make it fit to a honda kawa suzuki or yamaha without too much work! 225 euro ex shipping..email me for more pics and info! For sale here a unmolested Cagiva WMX125 they build it to a street legal version in 1987 and has runn for about 1,5 year then stored a real barn find !! 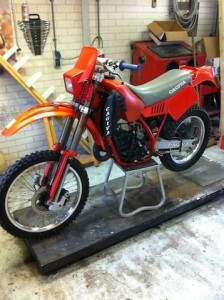 Is deze cagiva er nog? Klaus, get a life mate. 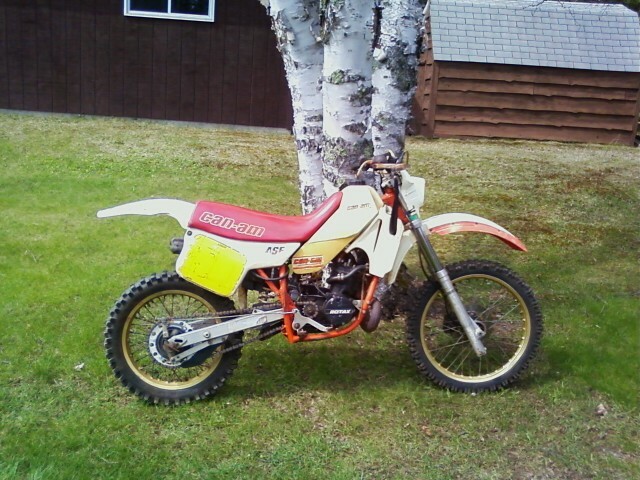 Hi, I recently bought a low hour 72 TM 250 which I\'m needing some parts for before I sell it. 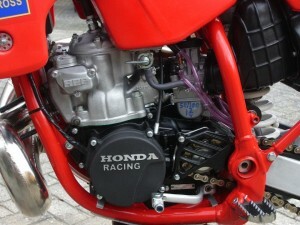 Both pegs, airbox, carb, intake manifold & side panels. Thanks for looking or if you want to buy it \"as is\" contact me. 208-771-0882 Pacific time & I work during the day. For Sale: cr 500 89 clutchcover in mint condition. absolutely NO corrosion in waterpump area. threads are not in "good usable" condition, they are in perfect condition!! it is not a NOS part, but when fresh painted it will be in new condition. Do you have a complete kit or just the cylinder and head? and what are you asking for it? NOS plastic to fit my Honda cr 125 1989.
hi, i have a nos shroud for 89 125.
hello martin, are you there ? I am here, have tried to contact you but no success. 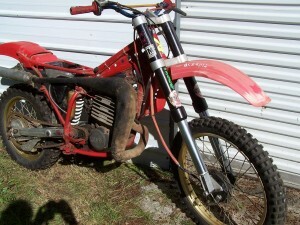 Hi I am in desperate need of a 1984 CR 125 Right hand Crank Case Cover. Need white Husky Products number plate background stickers! 75 dollars shipped to your address here in the US, a little more if overseas. Wanted 1984 Suzuki RM250 cylinder , preferred std bore , or good boreable one . Any help would be appreciated Ed. Is it still around for sale? If yes please state your e-mail addres. because i am useing hotmail not Outlook. 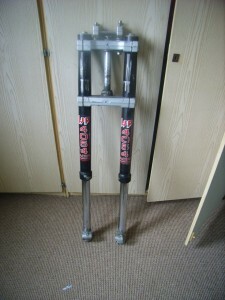 What I am realy like is UDX-60 fork, but why is the brake on the right side? I have seen other 1983 Maico with Simons fork but the front brake was on the left side same as original. The swing arm is it steel painted Alu/grey or is it an alu swing arm like "Profab swing" and what brand is the rear shock and is the engine 4 or 5 speed and does it start? 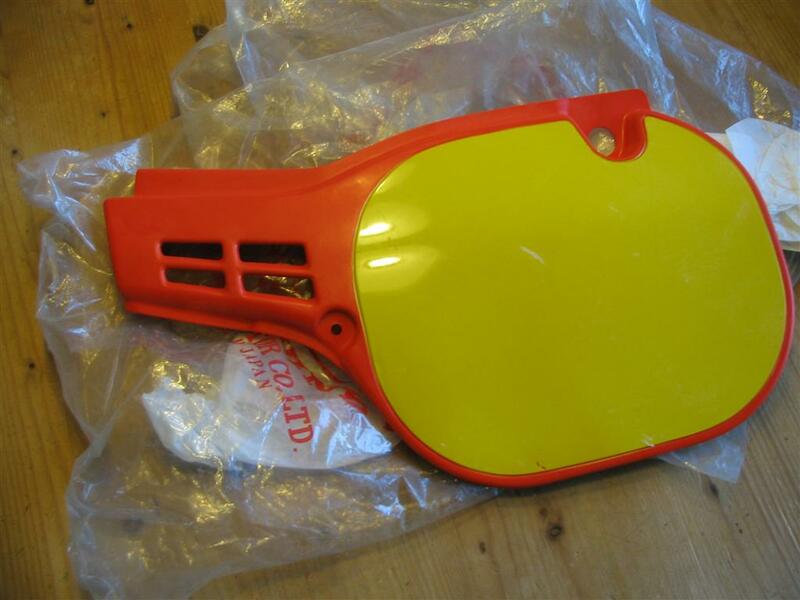 I am looking for a set of Yellow Fork Protectors / drum brake protector like Mark Barnett used in 1982 / 1983 on his Suzuki rm 250. It looks like a disc brake protector but it is for a drum brake (front). Any help would be much appreciated.